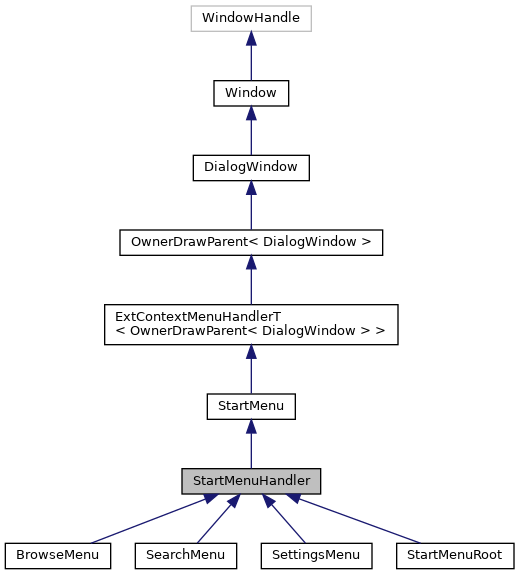 Handling of standard start menu commands. Definition at line 332 of file startmenu.h. Definition at line 334 of file startmenu.h. Definition at line 336 of file startmenu.h. Definition at line 341 of file startmenu.h. Definition at line 1849 of file startmenu.cpp. Definition at line 2107 of file startmenu.cpp. Definition at line 2113 of file startmenu.cpp. 2120 /* The RestartDialog function prompts about some system setting change. This is not what we want to display here. Definition at line 2138 of file startmenu.cpp. Definition at line 2068 of file startmenu.cpp. Definition at line 2056 of file startmenu.cpp.